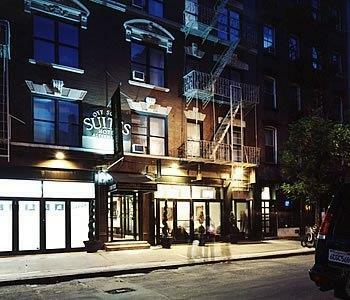 The Off-Soho Suites Hotel is the first European hotel of its kind that brings the exotic charm of little Italy, Soho and the East Village to your backyard. Yet it keeps you within a few short bus stops from New York*s financial center, Broadway shows and Chinatown. All suites are modernly furnished with hardwood floors and fully-equipped gourmet kitchens. The hotel offers 24-hour concierge service, free fitness facilities and rooms service. The Off Soho Suites Cafe serves breakfast and lunch daily.